The capital of Portugal has a long and rich history for the experienced, as well as novice, traveler. Filled with glorious buildings and artwork from the Age of Exploration, Lisbon revels in its historic glory. Tours and junkets just don’t do justice to everything there is to see and do in this city-sized museum. Lisbon is one of the oldest cities in the world and predates cities like Rome and Paris by centuries. The oldest ruins in Lisbon have been dated between the 8th and 6th century BC. Legends claim that Lisbon was founded by Odysseus during his travels home after the sack of Troy. The Jerónimos Monastery, built in the 16th century, was built in honor of Vasco da Gama’s voyage to India in 1498. The Monastery celebrates the opening of the spice trade with India that made Portugal a world power during the Age of Exploration. The monastery is a UNESCO World Heritage Site. A large part of the funding for the construction of the monastery came from the spice trade and the architecture is stunning. The tomb of Vasco da Gama lies inside the entrance of the Santa Maria church within the monastery. One of Europe’s premier museums, the Museu Calouste Gulbenkian is home to a vast art collection bequeathed to Portugal in 1955. Calouste Sarkis Gulbenkian was an Armenian oil magnate who amassed a stunning collection of priceless artwork from around the world. The collection encompasses art from ancient Egypt to the modern era. With pieces that include Olympic game medals struck in 242 AD to artwork from Europe’s master artists and furniture, paintings and sculpture that span 4,000 years of creation, this museum should not be missed nor should it be rushed. Originally sited in the middle of the River Targus, the Belém Tower was a protective fortification built to defend the harbor of Lisbon and the exploration and trade ships that were used to build the nation’s wealth during the Age of Exploration. Belém Tower is also a UNESCO World Heritage Site and a stunning example of early 16th century architecture and design. 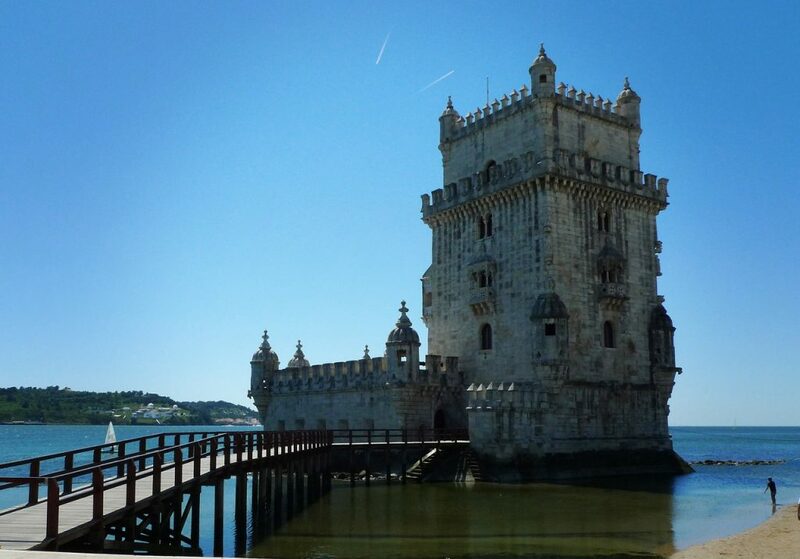 The stone of the tower is carved with maritime relief celebrating Portugal’s role in trade. 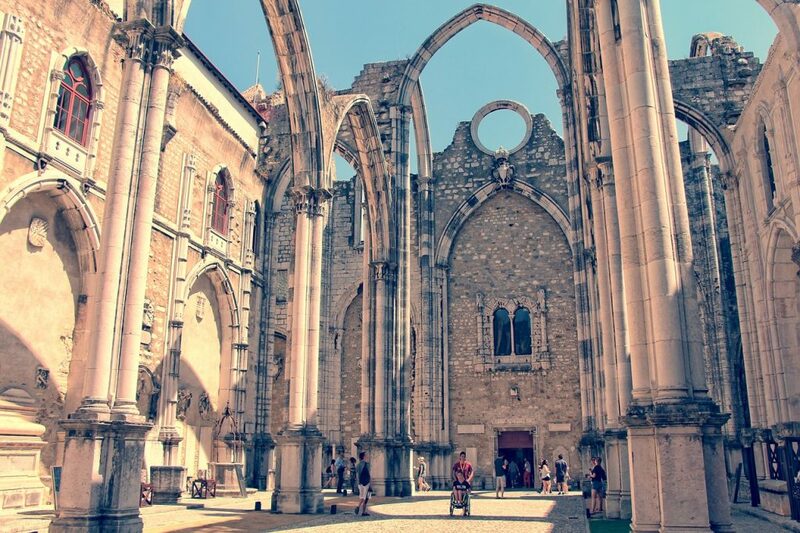 The Carmo church was constructed between 1389 and 1423, and was once one of Lisbon’s most distinguished churches. An earthquake on All Saint’s Day in November 1755 destroyed most of the church and hundreds of worshippers who had taken refuge there. The church was never rebuilt, but the arches that survived the earthquake were never torn down. The chancel, which had survived the earthquake intact, is now the Archeological Museum of Carmo. Built in 1748, the great Águas Livres aqueduct is a remarkable engineering achievement from the 18th century. Spanning nearly 58 km, the Alcantara Valley span is the most remarkable. Visitors can now tour the aqueduct, including the incredible Alcantara Valley section, and marvel at arches that rise to 65 meters in height. With something for everyone, and even more for history lovers, Lisbon is an incredible city to visit and spend time in. Getting around is simple with buses, trains and, of course, Book Taxi Lisbon all offering visitors the chance to see the glory of this great, historic city.